Improve your Multi-Family development process, construct the right mixed complex project for your land, and manage your construction effectively. As a multi-family home builder, you understand the extra amount of back-office technology, time and resources needed to bring a multi-family production to market. Whether it is a high-rise condominium or a community of town-homes, managing all aspects of the production is critical to attracting modern buyers to your multi-family project and will ultimately allow you to offer a high-quality condo or unit at a reasonable price. The building process begins with land development. Due to the increased complexity of bringing a multi-family complex to market, homebuilders should always compare various plots of land prior to the purchase. Factors to consider include the location of the community, its surroundings, and which possible project styles can be developed with the unique attributes of each plot of land. Homebuilders should be looking at the various ways product design can be optimized to improve the quality of life for homeowners in addition to how profitable the project can be when the community goes up for sale. For example, if you have a land option by a body of water with a nice view, consider optimizing your project design to include a high-rise portion, this way, you can offer a premium value add-on to the high-rise suites by charging extra for the units with a view. If you are considering a rural area, perhaps offering townhomes to allow for more living space for prospective buyers that are families might be a better option since families tend to enjoy more space. Don’t leave the process of planning the development to chance, you should always leverage tools that allow you to compare building scenarios based on the types of land available against the profitability of the construction type. This ensures that you are purchasing the right land for your business goal, creating an estimate of which construction project is possible on the land, and forecasting how profitable the project will be if you acquire the land. Your accounting team should have clear oversight. Your accounting division should become preemptive regarding company purchasing & costs of resource acquisition and construction. They should be able to forecast profits from the sales opportunities existing in the company pipeline as well as project profits from upgrade offerings sold in your multi-family projects. All your business functions and processes should tie back into your accounting department. When this process shift occurs, decision makers at your building firm will begin to understand clearly each of their department success metrics, and how to be more efficient to ensure the company meets pre-determined goals. Sales teams will become results driven, your construction team will become time sensitive, and your purchasing team can become more strategic about how they acquire assets for construction. Ultimately, this efficiency in your build process will allow you to offer the suite or unit at a reasonable price while securing your forecasted profit. Making the needed sales records and upgrade revenue is critical to the bottom line for the multi-family project profitability. But multi-family homebuyers often expect special amenities, this is especially true with high-rise productions where homebuyers are still investing large sums in their mortgages for a shared community. Also, décor studio management is a trending must for builders and it could potentially become complicated as the number of units increases in multi-family production in comparison to a single-family project. Implementing a tight-knit process amongst your sales and décor studio staff is a critical element to the multi-family puzzle. 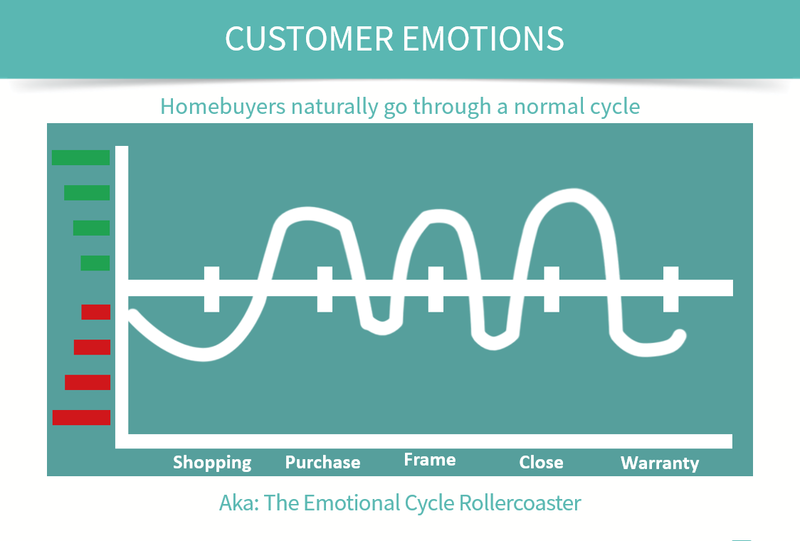 Visiting sales centers has become a ritual for the modern home buyer. Prospects expect to be in awe when they enter a sales center and they want to see the various unit options, amenities and upgrades that are available. Implementing a sales and décor management solution that allows homeowners to create their dream space while still allowing you, the builder, to commit to those upgrades in your build cycle, is key. Your sales and décor management software should digitize the sales an upgrade selections process. It should allow builders and their homebuyers to focus on the experience of enjoying the product offering inside and out instead of being too overworked with paperwork and product catalogues. To hear a panel of design studio experts and homebuilders discuss décor center management technology trends, watch “The All NEW Design Studio Experience” recording. Select a system that showcases all your available suites/units for sale in real time, your system should allow your décor agents to link upgrade packages to a homebuyer’s contract and seamlessly drive that data from the sales center to the job site where construction has every detail needed to deliver these upgrades. After all, if there is one thing that should be autonomous and accurate is the process between sales to construction. If you are a home builder considering the production of a multi-family project, be aware that you will be catering to more homebuyers since you would be building upwards as well as outwards. How can home builders manage deficiencies or warranty requests in large amounts? The secret can be found in homeowner portal technology, perfect for multi-family projects and popular amongst condominium property managers. These portals allow homeowners to self-serve their warranty needs directly with the product vendor – and can issue claims through the portal anytime, anywhere via mobile. This eliminates long hours on the phone and standardizes the way builders manage and fix homeowner deficiencies. After all, a modern multi-family project needs all the smart features and technology that will enhance your home quality and still prove to be helpful in managing large amounts of warranty requests the modern way. If you are interested in an integrated solution for your next multi-family project, feel free to contact us. Learn more about NEWSTAR’s capabilities for multi-family productions. Whether you are an existing Constellation customer or a homebuilder, find out how NEWSTAR can support multi-family builders in various building functions.